Pinterest a good platform for pinning recipes and DIYs, but did you know it can help your business? Yes, it can. Pinterest can leverage your customer reach easily and without being spammy. Are you new to Pinterest? Have you pinned a few relevant images associated with your brand? If you’ve answered yes to any of these questions, you’ve probably wondered why you’re not gaining as many likes or followers as you’d hope. Don’t worry. This is more common than you think. Pinterest Group Boards are a blogger’s secret weapon. Group boards can drive massive traffic back to your blog, your opt-in freebies, and your products or services almost instantly. However, you must follow one rule. *Join group boards that is directly related to your niche. You can join as many group boards as you like. There are no limits. However, each group board has their own set of rules you must follow or risk being banned. 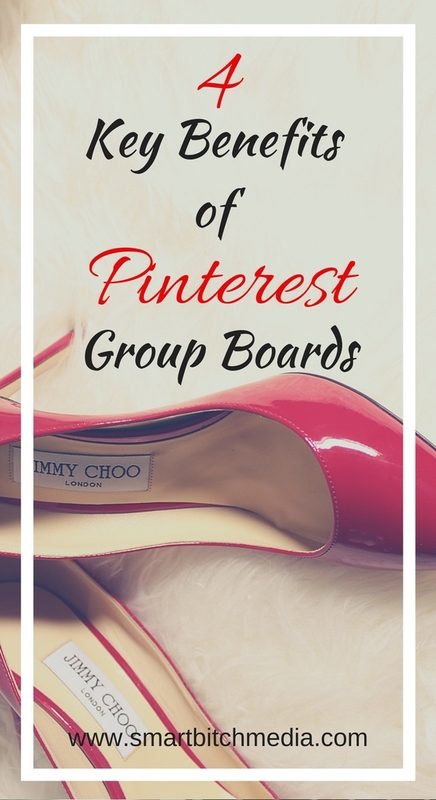 You’re probably asking yourself, WHY SHOULD I JOIN A PINTEREST GROUP BOARD? If users select to “follow all” of any contributor’s boards they will be added as followers to a group board you are part of. The new exposure and visibility you get through group boards will increase your follower growth at a faster rate. The more followers you have the more likely they (and their followers) are to see your content, repin your pins and click through to your website. This means more traffic to your site and more subscribers, customers and clients. Secret group boards can be a great way to brainstorm, collaborate on a topic and share ideas. Your customers may already be liking, commenting and sharing your content with their followers on Pinterest. Inviting them to pin to your brand’s group board will get them more engaged and involved in your online conversation. Here's one of my blog posts with 10+ Pinterest Group Boards you can join today!